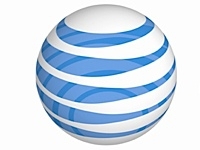 "Thursday is Verizon iPhone day, and AT&T is celebrating with a tempting offer that may keep many of their iPhone customers out of Big Red's clutches -- a new, free calling feature called AT&T Messaging Unlimited with Mobile to Any Mobile Calling. The only catch? You need to have (or add) unlimited text messaging." Called "Unlimited Mobile to Mobile Calling" by AT&T, it allows you free calling to any mobile number regardless of carrier, and it's available today. All you have to do is have a current unlimited texting and the correct calling plan (Nation 450, Nation 900 or Family Talk 700 or higher) and you can add this feature for $20.00 USD monthly on individual plans or $30.00 USD monthly for Family Talk plans.